bv02 worked with the Council to improve access on their site to relevant information, with content organized by audience about programs and research related to their community. 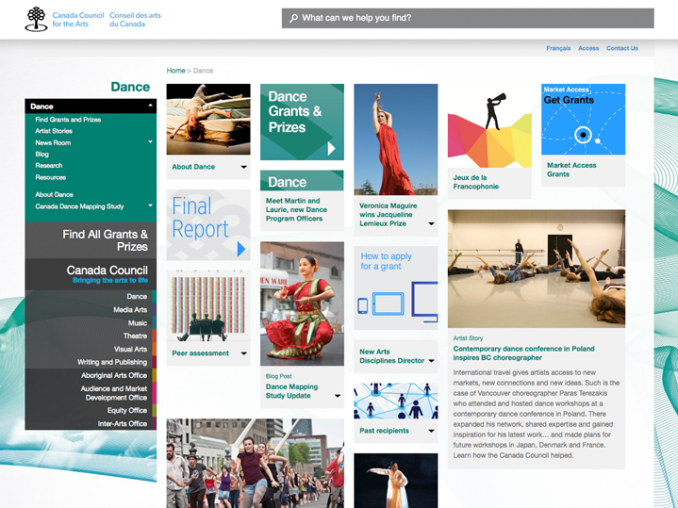 Canada Council for the Arts is Canada’s national arts-funding agency, and as such they work with a variety of artists across disciplines. Yet when they came to bv02, their website’s visual identity didn’t truly reflect the importance of art within the organization. This sparked a partnership between the Council and bv02 to redesign and develop their website. 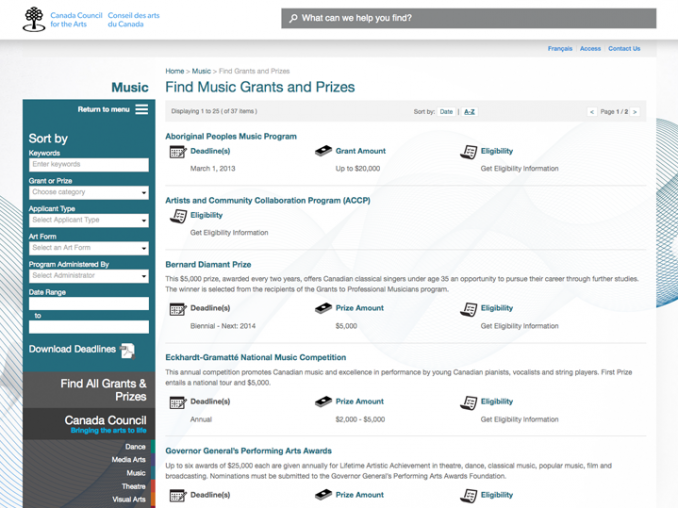 The primary objective of the redesign was to create an easily navigable and accessible website that shows the true spectrum of the artistic community supported by the Council. With this in mind, bv02 worked with the Council to improve access on the site to important and relevant information, by rotating new content organized by audience about programs, research and stories related to their community. 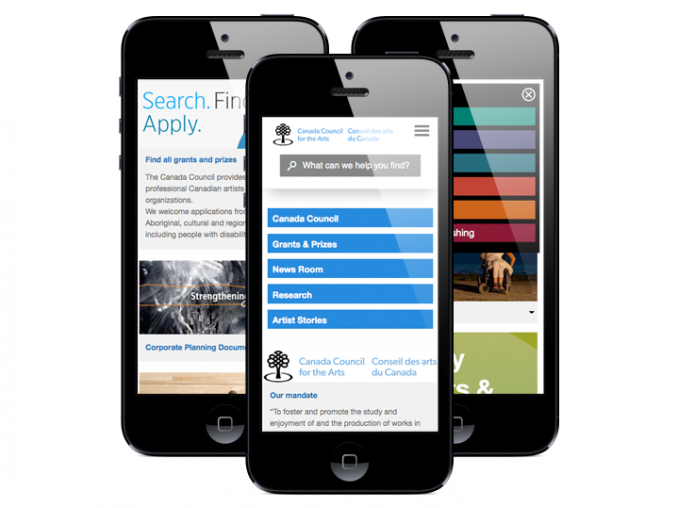 The website’s responsive design offers access to this information across phones, tablets and other devices, by utilizing a flexible layout that optimally displays the site’s content based on the screen resolution. 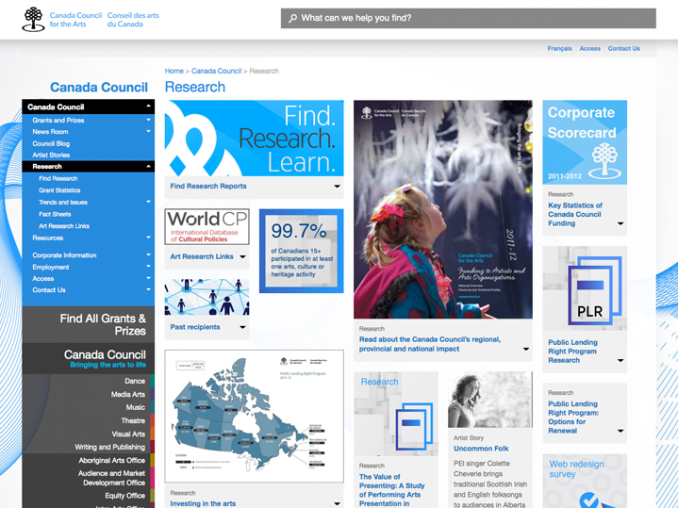 This approach, built on the Sitecore CMS platform, ensures that the content is still as clear, usable and easy to find as it is on a desktop computer. 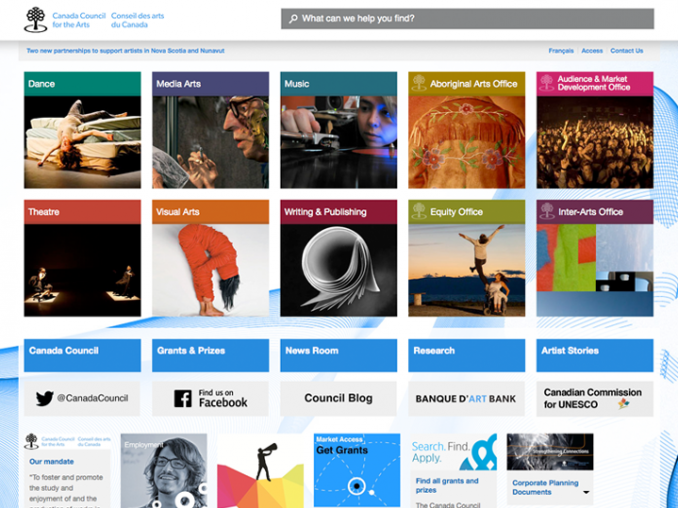 The launch of the new website has generated an overwhelmingly positive response for the Canada Council for the Arts, who saw over 6500 unique visits to the site on its launch day – the organization’s highest number of daily visitors ever.